I just couldn’t resist doing this post. It has been the topic of conversations and secret meetings for months, not to mention weeks of fun preparations, and a lot of hard work in the days leading up to the big event. This event was all about dividing and conquering, and conquer we sure did. With our Bridesmaids Google Drive spreadsheet filled to the brim, it was no wonder we pulled off the perfect vintage-picnic themed bridal shower, all for one pretty lady, my soon to be sister-in-law (but she’s actually been my sister and banana for years), the bride-to-be Vanessa! The Friendly Little Kitchen repertoire was a saviour when it came to deciding what to make for the event. The Homemade Chunky Salsa was whipped out, as was the Upside Down Strawberry Almond Cake. But there were also some new additions, and this one was my fave so I just have to share… The Best Vanilla Cupcakes ever! I came across this recipe on The Cupcake Project, and trust me when I say, they have seriously nailed cupcake recipes. Now, if you know Friendly Little Kitchen well, you will know that I generally try to “healthify” my recipes and rarely cook with much or any sugar at all. This recipe is a bit of an exception to that rule and a little sweeter than the usual, but definitely necessary for pretty occasions like this. 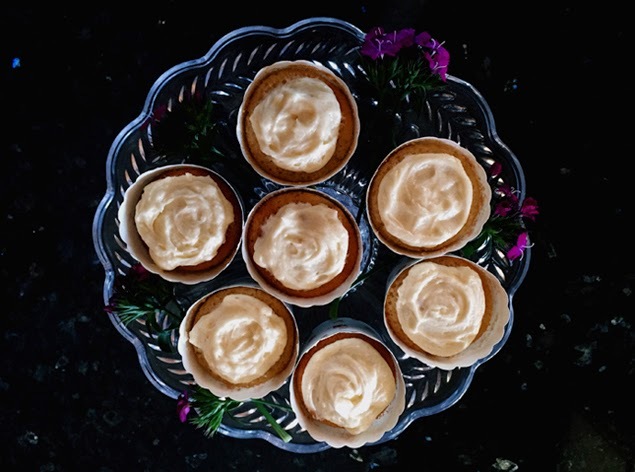 I made a few friendly alterations to the original recipe, and adjusted amounts to make more cupcakes – because one can never have too many cupcakes! For the method, head on over to The Cupcake Project. You will also find the Vanilla Buttercream Frosting recipe I used for the topping.